GenreOnline.net: Damn! 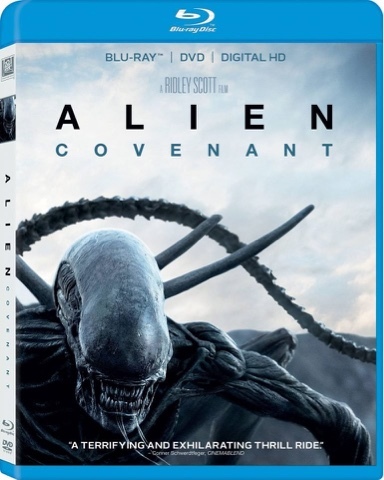 Alien Covenant is coming to Blu-ray on August 15, 2017! Damn! 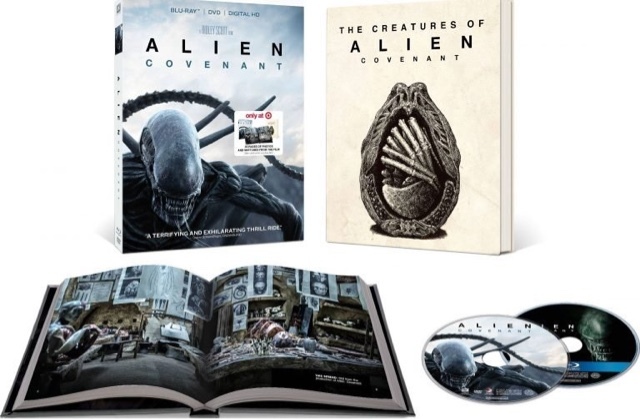 Alien Covenant is coming to Blu-ray on August 15, 2017! I was really surprised to see that Alien Covenant was being released in August. It makes me wonder what, if any, special features will be included? Alien Covenant is not a bad film, but the older I get the more I realize for what it is, the original Alien truly is a perfect movie of it's kind. Like the original Star Wars before it, Alien introduced us to a used lived in Galaxy, but one that was just as wonderous as Star Wars, just a lot darker. Alien hinted at a stranger universe than we might imagine and features truly breathtaking production design and creature design the likes of which have yet to be surpassed. Sometimes less is more and in trying to give us something he claimed no one ever asked in the previous films, Scott forgot to take into consideration that no answer may suffice because nothing will ever match what appears in the mind's eye of the individual viewer. Star Wars itself has suffered a similar fate in that with each succeeding film, the universe has somehow become more or less shrunken and despite the intriguing possibilities offered in Prometheus, answering questions with a hybrid sequel in a bid to please as great an audience as possible is just doesn't cut it. For visuals and effects, Scott is among the best, but I think if he gets to make one more Alien film, he should complete the prequel trilogy and leave it to a new generation of talented filmmakers to follow in his footsteps. As it is, unless you read the novel tie-in, it is very likely that one might miss the origins of the Xenomorph question and even so, much has been needlessly muddled to a point where things just do not add up. Still I will not be a hypocrite and judge a film and then act as though I am not buying it. As far as I am concerned, it is sold as I have just preordered it today. 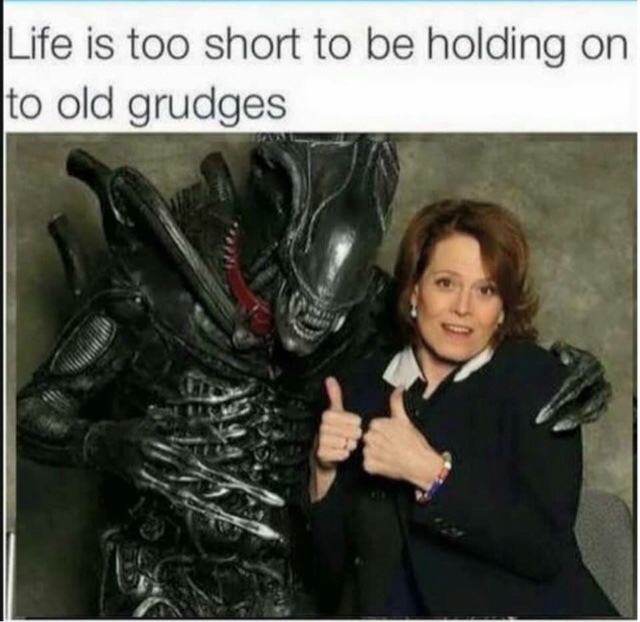 Alien Covenant is not a bad film, it just seems as though there is a missing chapter somewhere Ridley needs to complete. I was already satisfied with making up my own answers after Prometheus. 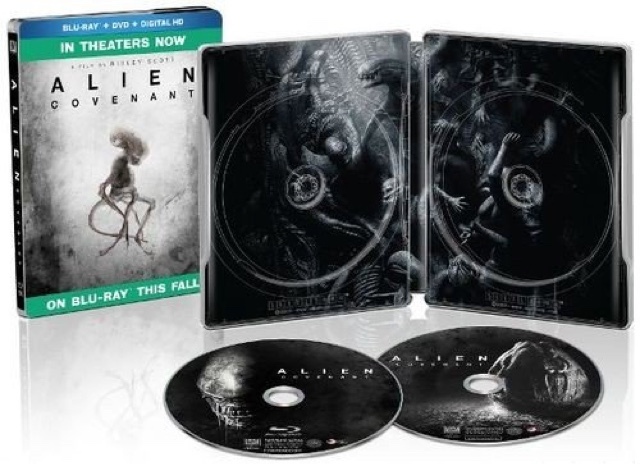 At least we will always have Alien and if you have the other films, you might as well as add this one to your collection too. (C) Copyright 2017 By Mark A. Rivera. Target and Best Buy Exclusive Images Below.